Superdry men's Athletico shorts. Combining style and comfort with high technical performance, these shorts are a must have update to your workout wardrobe. Crafted from four way stretch fabric for comfort and freedom of movement. 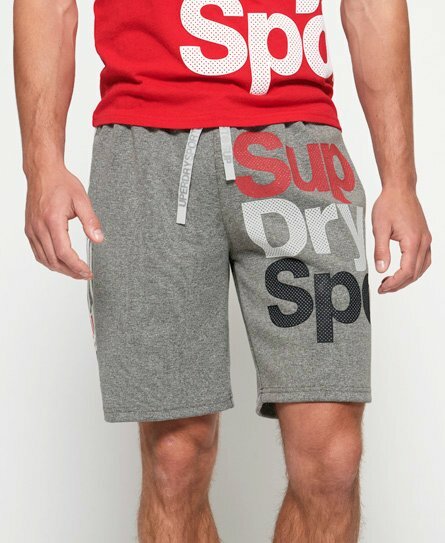 the shorts also features a drawstring waistband, twin pockets and stripe detailing down the legs. The shorts are completed with a textured wrap around logo on one leg and a zipped back pocket.